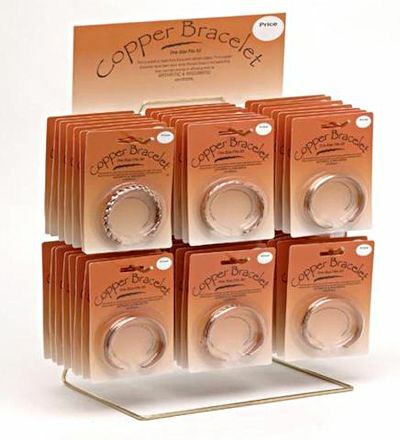 This assortment includes 1 dozen copper bracelets in assorted styles. The bracelets are carded and ready for display. 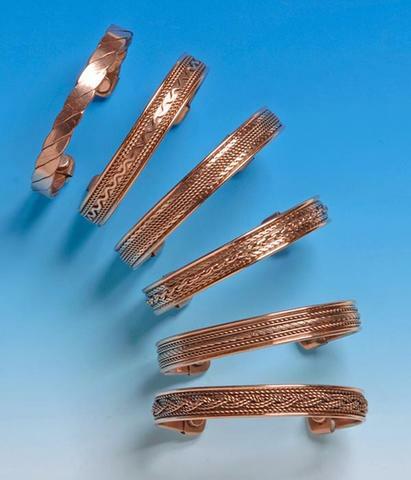 Each bracelet is about 3/8" wide. Display stand not included.